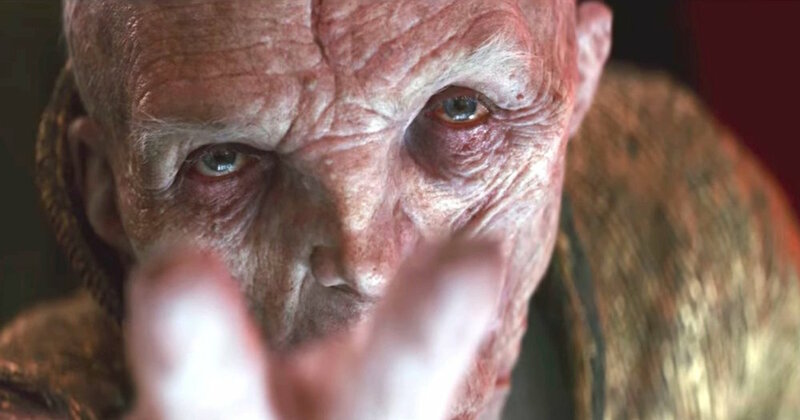 Snoke May Return For 'Star Wars: Episode IX'; Get The Details Here! Following the tremendous success of director Rian Johnson's Divisive Star Wars: The Last Jedi, fans been arguing their heads off about all the "shocking twist and turns" that take place in the film. One of the most shocking twist comes about half through the epic film and involves the surprising death of Supreme Leader Snoke played by the great Andy Serkis. Now, during a recent interview with our good friends over at Slash Film, Serkis has revealed that Snoke's fate may not be the last time we see the Supreme Leader. Here's what Serkis said about Snoke. Should Snoke return in some form for Episode IX or was his death the right creative decision for the story? Share your thoughts below! Lets start a discussion! Written and directed by Rian Johnson, Star Wars: The Last Jedi stars Daisy Ridley, John Boyega, Mark Hamill, Carrie Fisher, Adam Driver, Oscar Isaac, Lupita Nyong’o, Domhnall Gleeson, Anthony Daniels, Gwendoline Christie, Andy Serkis, Laura Dern, Kelly Marie Tran and Benicio del Toro. Star Wars: The Last Jedi is now playing in theaters everywhere!